Charlynn was born at University Hospital in Augusta, Georgia in 1966. She graduated from Westside High School in 1984. 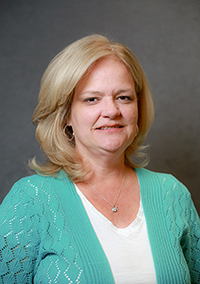 Though she began her insurance career elsewhere, Charlynn has been with Sanford, Bruker & Banks since 2003. Charlynn is Sanford, Bruker & Banks' Personal Lines Manager. She is also the proud mother of 2 wonderful children.